Houston is one of the worst cities for rats, which means residents must be extra weary when it comes to these pests – especially this time of year. 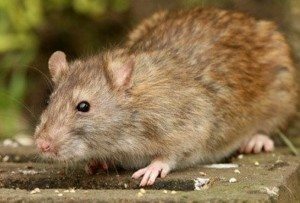 Here are a few of the most common types of rodents in Houston that can be challenging for homeowners. Roof rats are given their name because of their ability to climb exceptionally well – which explains why they are commonly found in attics and roofs. They also nest above ground in trees, bushes and other areas of vegetation. Like most rodents, roof rats can cause damage by gnawing through walls, wiring, pipes and other parts of your home, creating a fire hazard. Because of their tendency to aim high, your best bet as far as prevention goes it to focus on access to your roof and attic. Fix any loose shingles, place a tight-fitting cap on chimneys and cover vents. If you have trees reaching the roof of your home, trim branches back at least six feet from your home to reduce the likelihood that rats will use them as a super highway. Although similar looking to roof rats, Norway rats have slight differences in their physical appearance. They have a slightly heavier build and a shorter tail than roof rats. They are also not the best climbers, so you are more likely to catch them on the ground inhabiting crawl spaces and the first floor. These rodents prefer nesting in underground burrows such as the foundation of buildings and homes, beneath woodpiles and near gardens and riverbanks. Norway rats are nocturnal, so you may not see them until the infestation gets out of control. 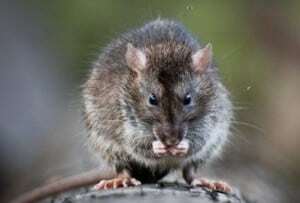 Some more subtle signs of rats are burrows, gnaw marks on food packaging, utility lines, drywall and furniture and rub marks from the oil (called sebum) on their bodies along the pathways they take in and around your home. Because rats are social by nature, if you suspect one Norway rat there are probably more. You can prevent them by eliminating food and water sources near your home. Fix leaky pipes and faucets, and keep garbage bins at a distance. Also, make sure cracks and crevices in the foundation of your home are sealed, as this is where they are most likely to enter. The signs and dangers of mice are similar across species. Signs include droppings on the floor, in drawers, cabinets and pantry areas. You may also hear them scurrying or scratching as the move behind the walls in your home. Much like rats, they also tend to chew at critical equipment such as wiring in the home. Mice are also known to contaminate stored food and transmit disease through their droppings and urine. 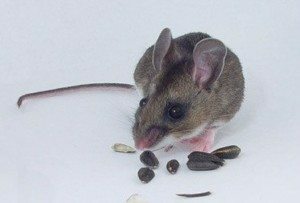 The two most common mice known in Houston are deer mice and house mice. Both are smaller than rats, which can be over a foot in body length. An adult deer mouse ranges from 2 ¾ to 4 inches, and the average house mouse is 5½-7 inches. Because of their size, controlling mice can be extremely difficult. Exclusion is the best method for preventing these pests, as well as removing access to trash cans and other food sources around your home. The sight of a mouse or rat is always alarming – and when there’s one, there are probably more. If you’ve seen a rodent in your home or suspect you have an infestation, give Holder’s a call.